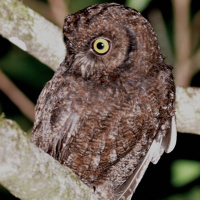 The Anjouan Scops Owl is a small owl with barely visible ear-tufts. 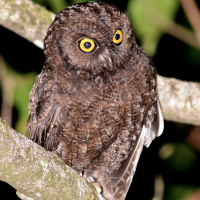 This species was rediscovered in 1992 after having not been seen since 1886. 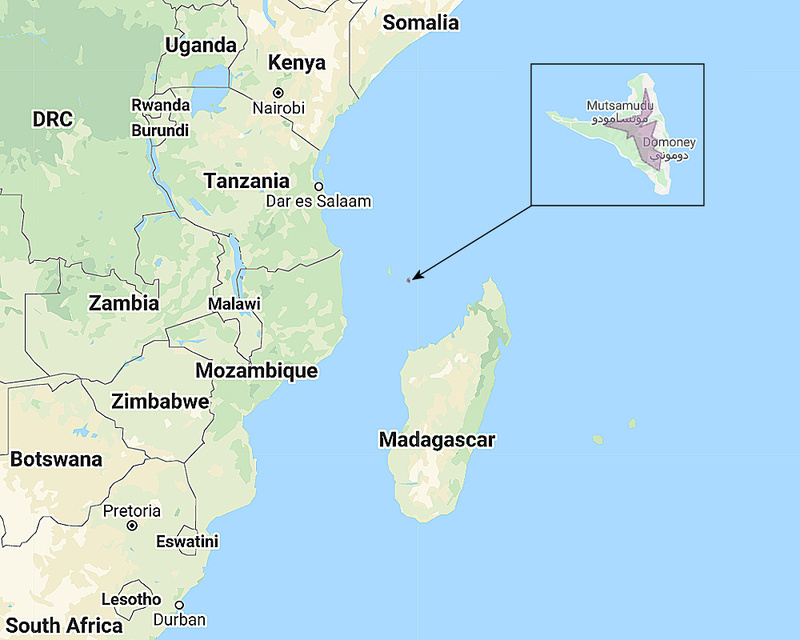 Distribution: Endemic to Anjouan Island in the Comoros Archipelago, northwest of Madagascar. Original Description: Gurney, John Henry. 1889. Ibis, 6th Series, vol. 1, p. 104-107.